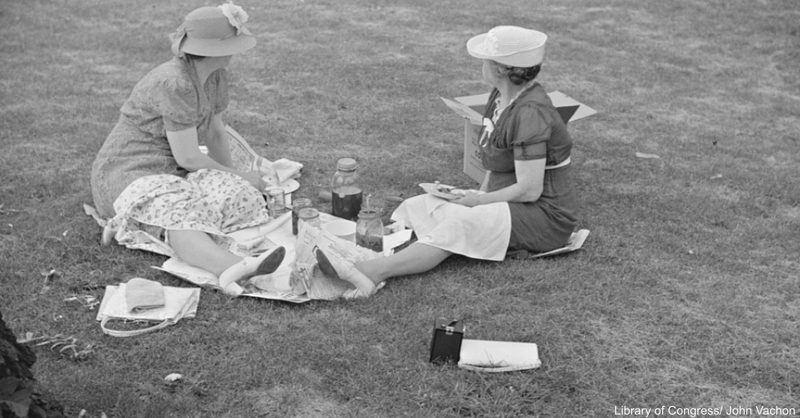 The Things We Miss About Good Old Fashioned Picnics! 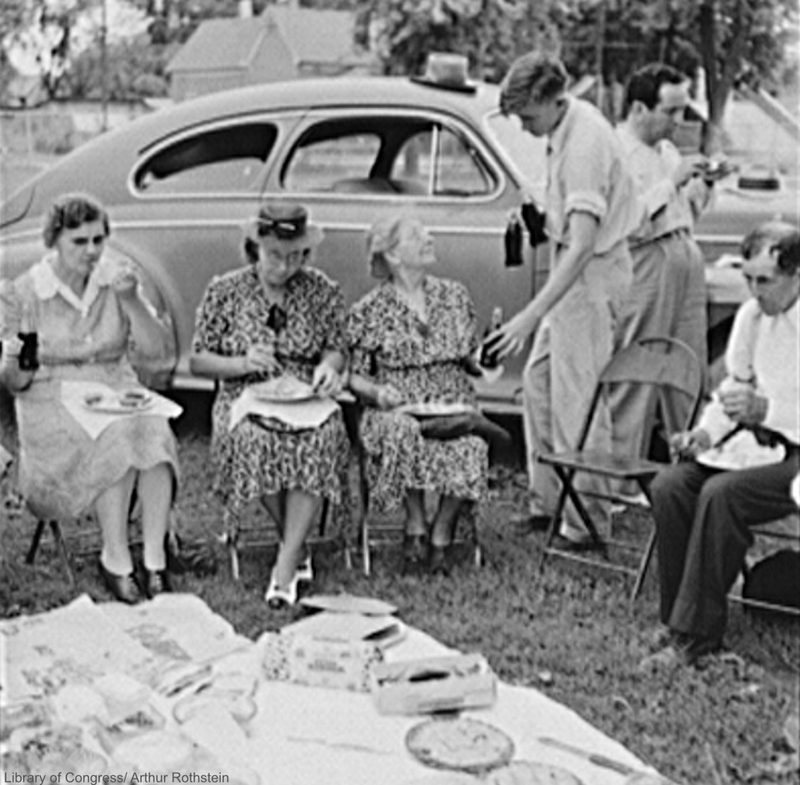 Picnics changed when we started using disposable dinnerware and napkins, single serving packaged foods, and generally taking less time to enjoy a simple outing with our family and friends. Back then, a big basket filled with homemade food was the order of the day, with little touches of style that made the whole thing more special. 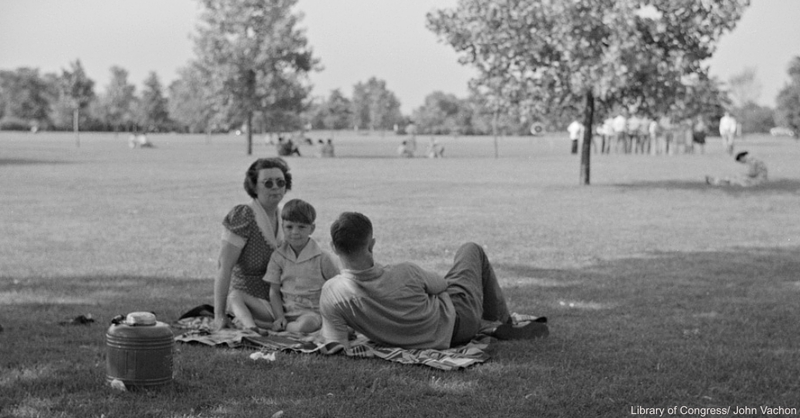 Here are some of our favorite picnic items from when we were kids. It used to be standard to take a picnic blanket with you on an outing. With fewer picnic tables at parks and more choices of what was considered a good picnic spot, brining a blanket let you set up camp nearly anywhere. Our’s was always plaid and we’d all cram onto it and keep a look out for ants. 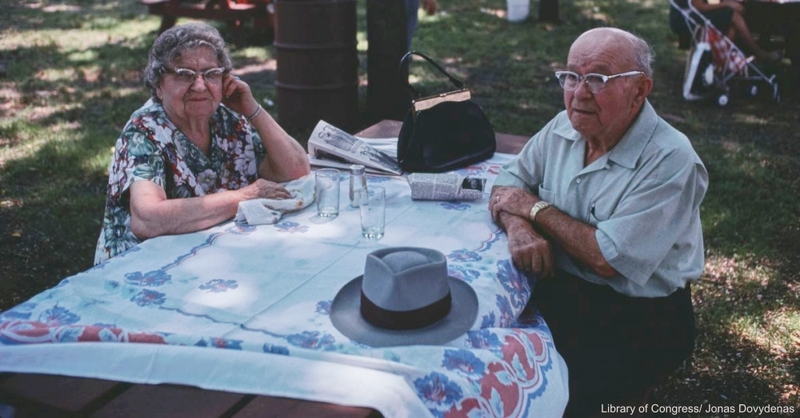 If the place you picnicked did have tables, it was standard to use a tablecloth. Something we often leave out toady, this added a little something extra to the picnic. Everything was a a little more special. Heck, how many people these days even use a tablecloth at home, let alone on a picnic! Our mothers and grandmothers that had attention to detail, though. One thing we always loved on picnics was getting some cold Cokes in glass bottles. They can be hard to find these days, but we still think they taste better than the cans! There was something really special about finding out Mom had packed some for our outing. It was a real treat! Most of the time we didn’t have sodas and Mom would just pack us some iced tea. She used to put a few fresh mint leaves and some sugar in it as a special twist on the old classic. Big jars and jugs of the stuff did not last long at all! Click the “Next Page” button to see the next 2!